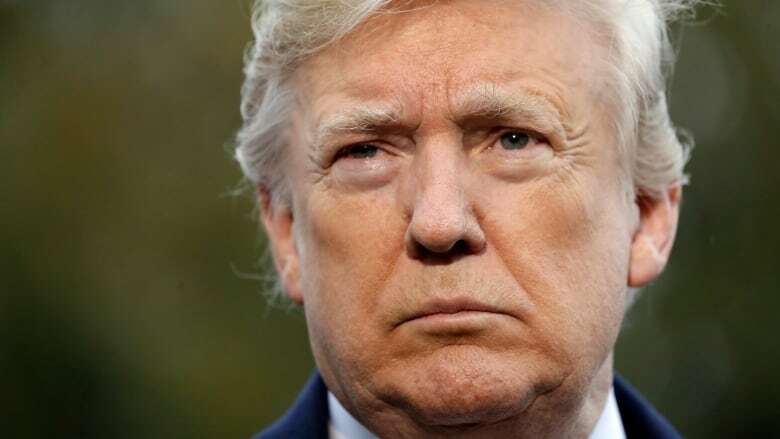 U.S. President Donald Trump on Friday invoked extraordinary national security powers to deny asylum to migrants who enter the country illegally, tightening the border as caravans of Central Americans slowly approach the United States. Trump is using the same powers he employed to push through a version of the travel ban that was upheld by the Supreme Court, albeit on its third attempt after earlier versions were rejected by the courts. The proclamation puts into place regulations adopted Thursday that circumvent laws stating that anyone is eligible for asylum no matter how he or she enters the country. "We need people in our country but they have to come in legally, and they have to have merit," Trump said Friday as he prepared to depart for Paris for the G20 summit. The measures are meant to funnel asylum seekers through official border crossings for speedy rulings, officials said, instead of having them try to circumvent such crossings on the nearly 3,200-kilometre border between the U.S. and Mexico. But the busy ports of entry already have long lines and waits, forcing immigration officials to tell some migrants to turn around and come back to make their claims. 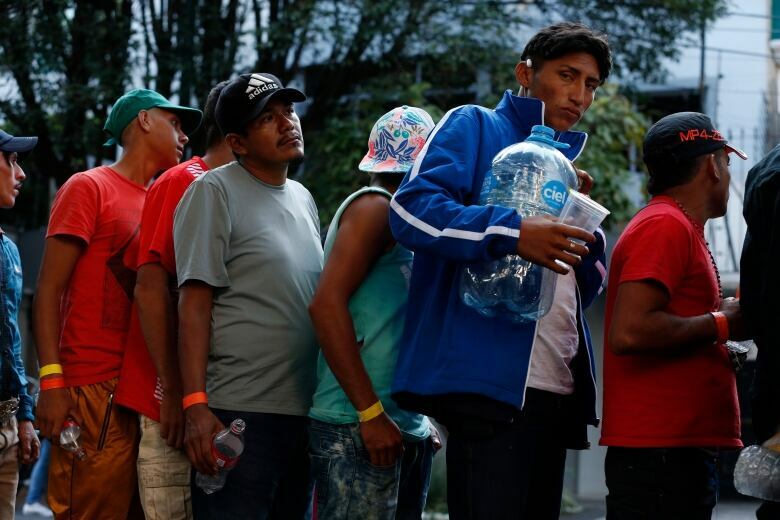 The move was spurred in part by caravans of Central American migrants slowly moving north on foot but will apply to anyone caught crossing illegally, officials said Thursday. It's unknown whether those in the caravan, many fleeing violence in their homelands, plan to cross illegally. Trump's order denying asylum to migrants was challenged in the courts within hours. A lawsuit in San Francisco federal court filed by the American Civil Liberties Union, Southern Poverty Law Center and Center for Constitutional Rights seeks an injunction to prevent the administration from implementing the asylum policy. The suit seeks to declare the regulations invalid and wants a judge to stop rules from going into effect while the litigation is pending. BREAKING: Together with <a href="https://twitter.com/ACLU?ref_src=twsrc%5Etfw">@ACLU</a> &amp; <a href="https://twitter.com/splcenter?ref_src=twsrc%5Etfw">@splcenter</a> we filed a federal lawsuit challenging the asylum ban proclamation signed this morning by Trump. The <a href="https://twitter.com/hashtag/AsylumBan?src=hash&amp;ref_src=twsrc%5Etfw">#AsylumBan</a> is ILLEGAL and violates the Immigration and Nationality Act as well as the Administrative Procedure Act. It wasn't clear whether the case would go before a judge before the rules go into effect Saturday. The rules once enacted go into place for at least three months but could be extended, and they don't affect people already in the country. Curbing immigration has been a signature issue for Trump, who pushed it hard in the days leading up to Tuesday's midterm elections, railing against the caravans that are still hundreds of kilometres from the border as an impending "invasion." 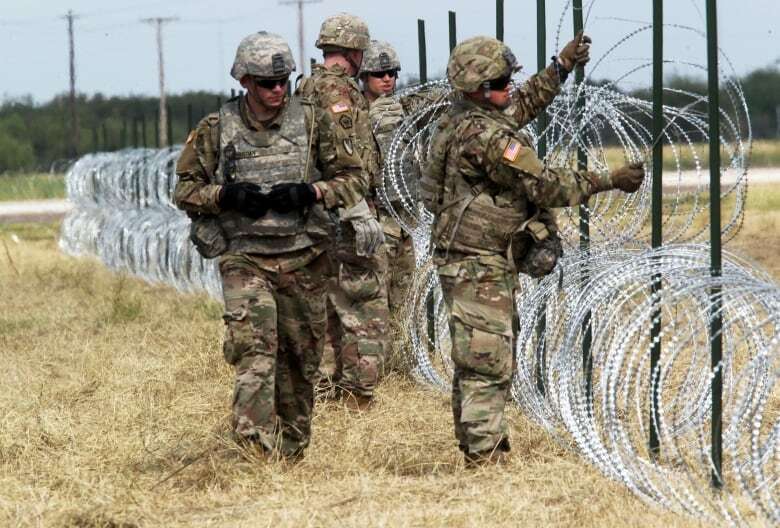 It's not clear what their duties will be, as existing legislation prevents troops from interacting with migrants and acting in a law enforcement capacity. About 70,000 people per year who enter the country illegally claim asylum, officials said. Migrants who cross illegally are generally arrested and often seek asylum or some other form of protection. Claims have spiked in recent years, and there is a backlog of more than 800,000 cases pending in immigration court, with a wait time that can be nearly two years. Less than one-quarter of applicants from Central America were approved between 2012 and 2017, although it's not known how many stayed in the country despite a deportation order, or stayed without even attending a hearing. Trump's recently departed attorney general Jeff Session announced a policy change at his Justice Department to deny survivors of domestic abuse and gang violence asylum claims, which could further curtail the success rate. Activists have accused border officials of unduly using this "metering" approach. UNHCR, the United Nations refugee agency, urged the U.S. to continue to follow international protocols it agreed to in 1967 surrounding refugee protection and humanitarian assistance. "In an ideal and predictable world, asylum seekers should present themselves at the border and request protection," the UNHCR said in a statement. "However, the reality of refugee flight is complex and requires management in a structured way with dignified reception arrangements." Asylum seekers are making a "desperate choice," the UNHCR said, to use smugglers whose routes lead to irregular crossings. While there has been a recent spike in asylum claims, the number of illegal crossings at the southern border is a fraction of the totals seen from the late 1980s through the early 2000s. Secretary of State Mike Pompeo said in September the country would take no more than 30,000 refugees in a year. The U.S. took in approximately 200,000 refugees per year in 1980, and the total had never fallen below 70,000 before Trump entered office. The administration has also looked to end protections under programs in which tens of thousands of people from Honduras and El Salvador who entered the country after hurricanes and earthquakes devastated their countries near the beginning of the century. Those moves have been challenged in court. Trump has also expressed an interest in ending birthright citizenship to those born to non-citizens and for ending the the so-called DACA protections for hundreds of thousands who've been in the U.S. for years but were brought into the country illegally while children. It's unclear how many people en route to the U.S. in the current caravans will even make it to the border. Similar caravans have gathered regularly over the years and have generally dwindled by the time they reach the U.S. border. Most have passed largely unnoticed.